Home / News / Viral / Atty. Rivera asked CBCP for dissent Marcos burial: Justice or forgiveness? Atty. Rivera asked CBCP for dissent Marcos burial: Justice or forgiveness? Atty. Bruce Rivera, in his Facebook account, he posted about the reaction of the Catholic Bishops Conference of the Philippines (CBCP) regarding burial of former President Ferdinand Marcos at the Libingan ng mga Bayani. The CBCP said that the decision of Supreme Court is an insult to the spirit of the 1986 EDSA People Power Revolution. 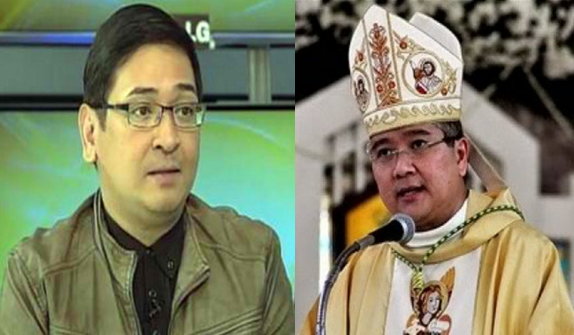 I respect the CBCP but please for the love of God do not meddle in the affairs of the state. Let me tell you why. First, allowing the burial in the LNMB does not in any way make Marcos a hero. Neither is Ninoy or Cory a martyr. Stop putting words in our mouths. Second, the insult to the spirit of EDSA was not committed today. The insult to EDSA were two Aquino presidency that was not able to recover the hidden wealth, convict any of the Marcoses and made sure that FM does not get a shot at a burial in the LNMB. The Marcoses had already made it known it wants FM to be buried there. It was not a surprise. Legislation should have sealed the deal. Third, since we are on the topic of justice, let me ask which is more important at this point? Justice or forgiveness? You tell us to forgive a drug pusher, a child molester, a plunderer but you also tell us that there is must be justice for the victims of Martial Law. What is justice for us then? Letting a dead man get his peace by being buried in a place which our laws allow him to be buried or by letting his preserved remains continue to haunt us, divide us and be the symbol of an era many wants to move on from. Marcos has long died. If there is judgment after we have passed as you taught us, should have Marcos been judged by God then? So by insisting on justice for a man that has long died, is the CBCP not sure if Marcos got the judgment in God's eyes? I have respect for priest and the clergy. But when it comes to affairs of the state, leave it to where it should be, to those running the government. Unless you would want to put to a vote what religion we should be in. I love God but it does not mean I am going to blindly love the Church. I've read in not a few comments about the church (particularly, and most especially to the CBCP), and would like to reiterate: What is your (church/CBCP) SIGNIFICANCE and RELEVANCE to current times, especially that your foremost mandate, if not the ONLY mandate, is to be the guardians and leaders of the people's values...when you yourselves could not grant forgiveness, given this specific situation?? So how do you reconcile your stand here vs what you normally preach from Matthew 18:21-22?? Are are you no different today from the hypocrites of 2,000 yrs ago?? Kudos to the lawyer. Nailed to the point. Marcos and the dead victims of martial law are long dead. Marcos has done so many good things for the people. Nonetheless if he indeed committed terrible injustice, rendering of judgment is not our job to do but rather God's. It's between him and God. I have been raised a Catholic and our deep faith is about the teachings of Jesus Christ. To follow Jesus is to learn to forgive. Difficult in this world as it is, but Jesus must have real good reason why He inculcated forgiveness, as it is the only way to real peace. We pride ourselves as the largest catholic/Christian country in Asia but sad to say even the higher religious leaders of this country are incapable of putting to life the very teachings of Jesus Christ. Hypocrisy is real. History keeps repeating itself in politics, in church or in humanity itself. It's not like the living Marcoses have not suffered long period of humiliation and sorrow for the unlaid dead body. Whatever sins they have done it was long paid and suffered for. Everybody commits mistake, politicians, church people, or regular people. Big or small mistakes, everyone is a sinner. Marcos is long gone, he met his judgment, maybe he's at peace now with God, while here we are the living, still making a big fuss over all these. We will all die one day, you can only get angry for so much and for so long, after quite sometime, what do you do with life? Forgive and move on. Life is good. Remember Jesus' teachings, love God and your fellow human being, that's all there is to it. you just put the final nail in the coffin. this is why i sometimes question why am i catholic? for 13 years i studied in a catholic school. they teach and yet they are the first ones you see that contradict it. Agree ako sa inyo,it is the 2 Aquino administration ang HINDI gumawa ng aksiyon noong nakaupo Sila para masigurong Hindi maililibing si dating Pangulong MARCOS sa libingan daw ng mga bayani,at Hindi dapat kumampi any CBCP sa both sides dahil pareho nilang mga çatholic member sila lahat,DAPAT turuan ng CBCP ang mga member niya na at magpatawaran at Hindi magkagatan.